For athletes and outdoor adventurers, the watches of the fenix 5 Plus Series are the high-performance way to beat yesterday and bring your maps and music along. These rugged, premium-crafted watches feature routable colour mapping, wrist-based heart rate, storage for up to 500 songs and our Garmin Pay ready contactless payment solution. 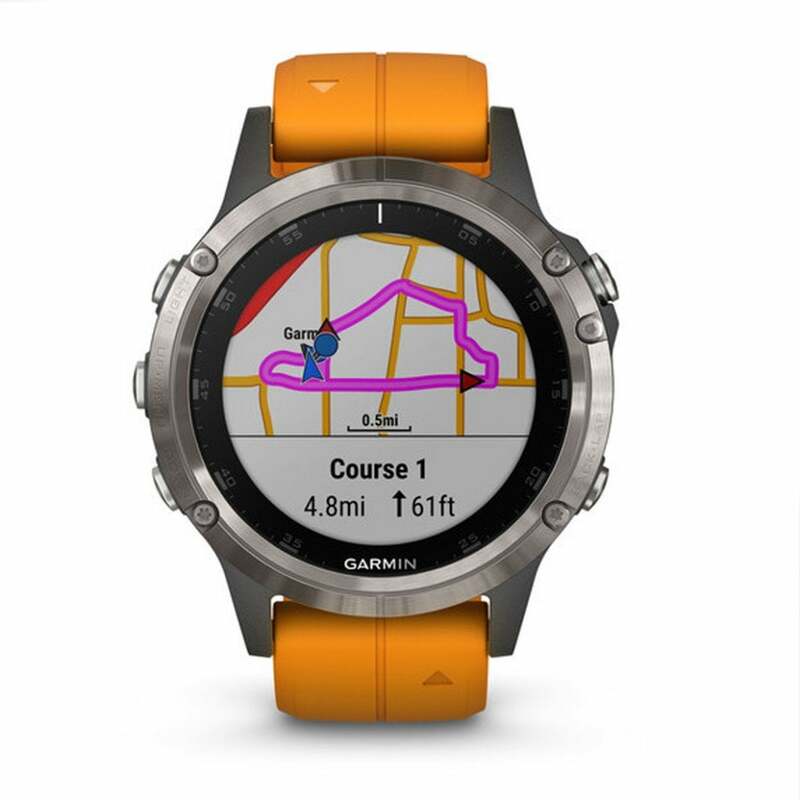 Whether you’re in the city or on the trail, all fenix 5 Plus Series watches provide built-in mapping and navigation features to help keep you oriented and on course. Full-colour TopoActive Europe mapping comes preloaded with map data optimised for at-a-glance navigation and location tracking. For runners and cyclists, the device also features Trendline popularity routing, which uses millions of kilometres of Garmin Connect data to help you to run and cycle like locals — wherever you go. Got a power song that gets you pumped up for a race or tough workout? Now with fenix 5 Plus, you can enjoy phone-free listening on the go, with up to 500 songs stored right on your watch. It's easy to download music and queue up your favourites so you can enjoy them anywhere, anytime through wirelessly connected Bluetooth headphones (sold separately). You can even sync your carefully crafted playlists from select music streaming services to your watch for more ad-free listening. So leave your phone behind when you head out for a run or a ride, because the music that keeps you moving is right there on your wrist.